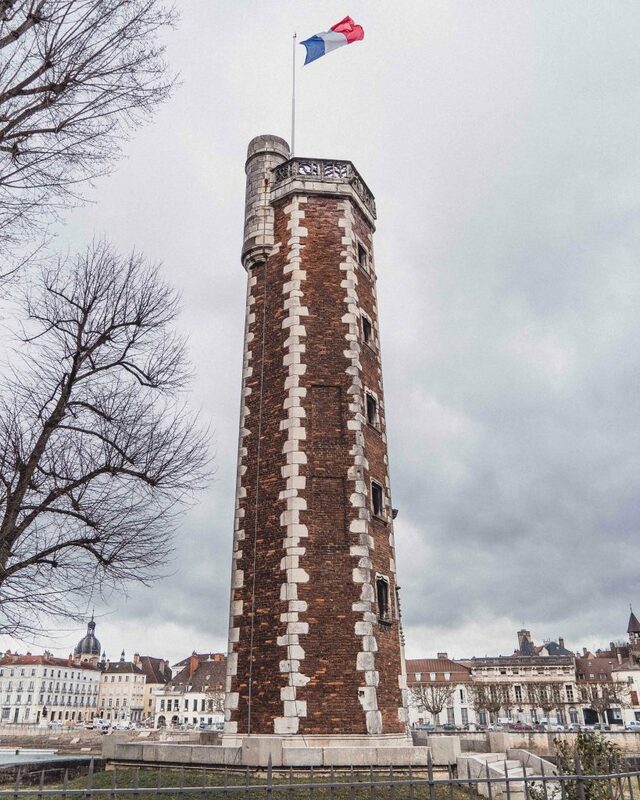 Thanks to its precarious and ever-so-dominating position alongside the River Saône, a waterway that wends its way through much of Eastern France, including Lyon, you’d be forgiven for thinking that the Doyenne Tower has always been situated on the small island that forms the larger city of Chalon-Sur-Saône. Instead, the 15th-century construction was once the living quarters of the Dean of Saint-Vincent (or Doyen as the position is so-called in French). As thin as a baguette, all that’s left of the quarters is the medieval staircase. Unfortunately, following several centuries of neglect, the tower fell into disrepair and was set for demolition in 1907. Following its deconstruction, the parts and pieces were shipped up to Paris, where they were set to go for auction. Luckily, the tower was saved by American Franck Jay-Gould. 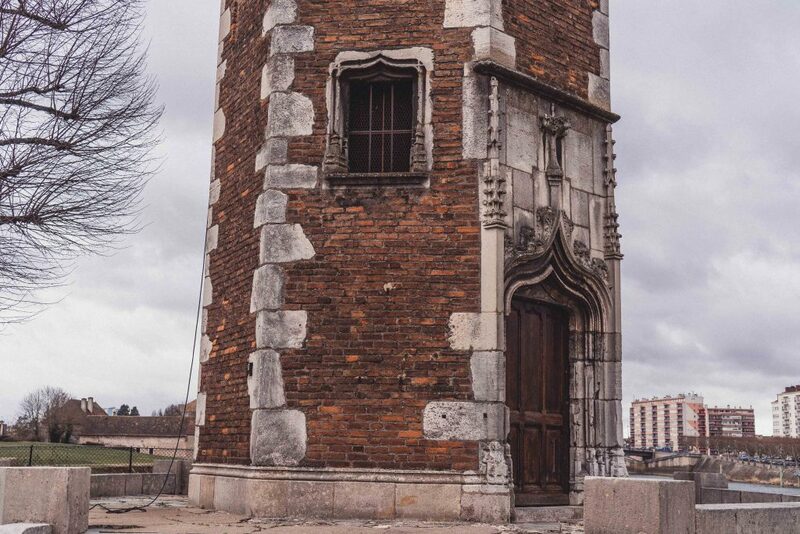 He paid for the restoration of the tower and moved to its present location. The Tour du Doyenné was completed in its current state in 1927. Today, the tower is open to the public during certain times of the year. For example, on some open day Sundays, the tour has been unlocked and its secrets uncovered. In 2018, La Tour was opened to the public at the end of November. 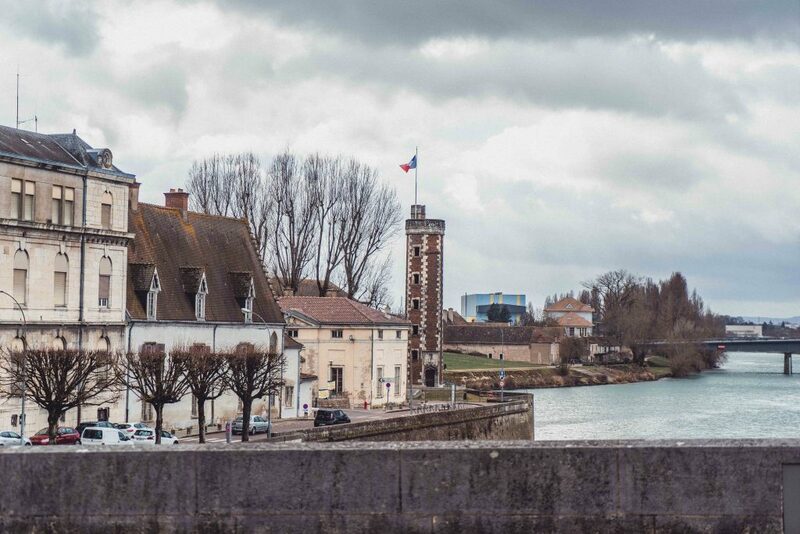 Nearby to the current position of the tower, you’ll soon spy the ancient hospital of Saint Laurent. Tour du Doyenné itself has been a listed heritage monument since the 27th of September, 1948. Other can’t miss Chalon-Sur-Saone attractions include Museum Niepce (he took the earliest surviving photograph still in existence) and musée Vivant-Denon, the local fine arts and archaeology museum. Sophie Nadeau is a travel, history, and culture writer based in the UK. With a love of all things photography-related, castles, and sweet food, she runs her popular blog, solosophie.com when she's not chasing after a sunset or hiking in the English countryside. C’est La France is your to-to-guide for all things France-related. Created by a Francophile in late 2018, follow along as we explore culture, history, destinations, gastronomy, and more!